When it comes to eyeshadows, Urban Decay knows what they’re doing especially when it comes to palettes. The Naked and Naked2 palettes are consistently in my daily rotation, as they easily transition from day to night and are perfect to travel with (the hardest part is deciding which one to take!). 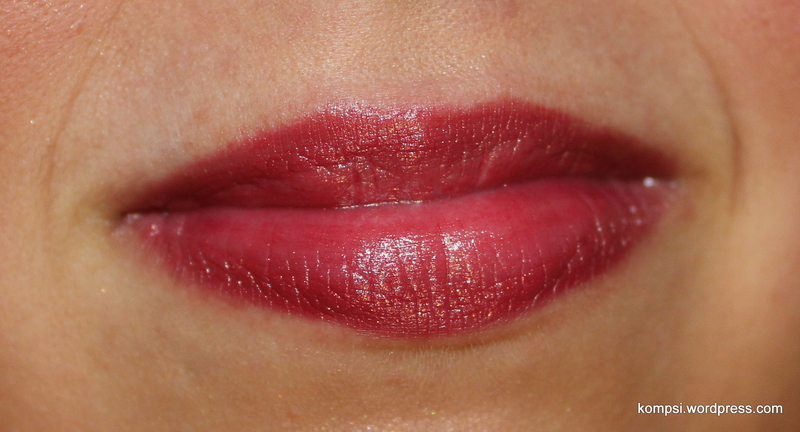 Here is a look I did a couple weeks ago, just really simple as I wanted to show off my lipstick, Nars Dressed To Kill (a totally gorgeous pinky-red rose, with gold shimmer). And finally, my lipstick. It looks a little patchy because I had put on some chapstick before the lippie. Just as an editor’s note, I think I’m going to start doing outfit posts on Mondays, product reviews on Wednesdays and makeup posts on Fridays. I read that it’s important for bloggers to have a schedule, so I thought I’d try it out. Maybe by the next post, I’ll figure out a theme name for each. Stylin’ Mondays, Tryin’ It Wednesdays and Blushin’ Fridays? Hm. Yeah, I think it’s back to the drawing board for that, haha. Totally agree…I have used my naked palette for over two years almost everyday. Love it! They really are a fantastic value! Love my urban decay shadow! Try Stila all day eyeliner… So easy to put on and use!